It’s that time of the year again- spring and summer allergy season in the Arizona desert! We anticipate the warmer weather but 1 in 4 Americans face struggles with seasonal allergies. Naturally your body fights germs through your immune system. But scientist think genes and the environment have something to do with the allergic reactions that people suffer from. With this, we have to expect signs and symptoms such as frequent sneezing accompanied by watery eyes and runny nose. Although most of us carry a pack of tissues to solve the issue, we have to address the direct causes so as to prevent or at least minimize the effects brought about by this situation. Let us discuss the following main points. The primary culprit in this kind of discomfort is the weather. The Arizona desert warmed up early this year. The cooling temperature that we enjoy during the winter season was so minimal that the winter season was virtually non-existent. Spring made its appearance early with mild and pleasing temperatures but not pleasing for the allergy sufferer who began dealing with symptoms early on. Summer heat in the desert does help with the blooming plant life conditions that allergy suffers complain about. But the presence of dust storms during the summer monsoon season escalates symptoms during the windy condition. Microscopic pollens are common allergens. Countless people suffer from highly irritable noses with their presence. Pollen count peaks early in the morning in the desert. The fact that these pollens are so tiny (that we cannot see with the naked eye), these particles can easily be carried by the increasingly stronger May winds to wider areas and affect more people. With spring showing itself early in Arizona, the pollen levels are abnormally high. The May winds have been increasingly stronger. Staying indoors is highly advisable however this does not guarantee 100% protection. But you can take simple precautions around your home to counteract this… and that is by closing doors and windows, changing your air filters frequently and even wearing a pollen mask when working in the yard. Do not worry if you are not sure whether you are experiencing common cold or an allergy attack as most people get confused with it as well. 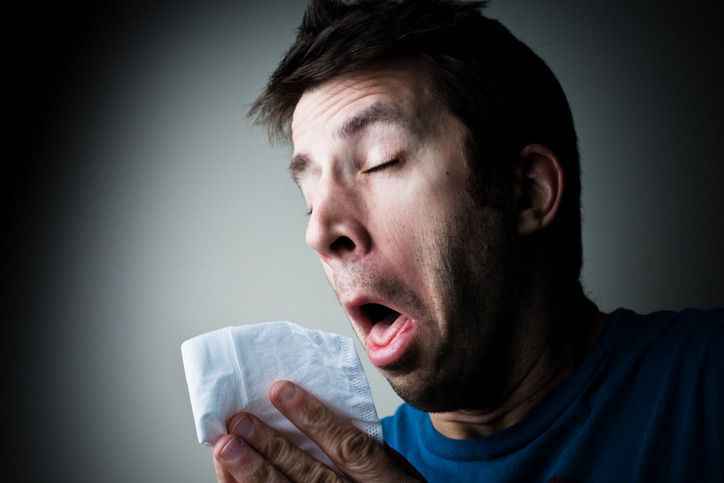 A cold is caused by a virus which attacks your respiratory system. Clues on having nasal allergies include watery eyes that are also itchy. This symptom is not present with common colds. Allergic reactions can also be initially treated by removing the presence of allergens. You will notice great improvement when you stay indoors, take your medicine and even by rinsing your nose with clean water. Allergens are the stuff the causes your immune system to react causing known abnormalities such as sneezing and runny nose. If you cannot totally prevent yourself from getting exposed to pollens, it would be very wise for you to distinguish if it is an allergy or cold so that you can take actions immediately. We have to bear in mind that the earlier we detect the problem, the sooner we can treat it. Do not hesitate to consult your Gilbert family doctor if one of your family members is suffering from the indications. Even though allergic reactions are not communicable, our goal is to primarily alleviate their distress. It is also advisable for you to have your children (and even yourselves as adults!) to consult family physicians and be tested for allergies. Feel free to set your appointments with Complete Care Medicine the soonest possible time. We can help determine other treatment for your condition and most of all we can also detect if there are other allergens causing your discomfort! Do not lose hope when the signs and symptoms are already manifested as it can still be treated. Sometimes allergies can worsen over time. That is especially true of allergies to food, bee stings and plant life that can become serious with each exposure. There are many over the counter antihistamine medications available but expert advice from a medical provider are still the trusted regimen nonetheless. The allergy treatment will depend upon the severity of the symptoms experienced by the patient. Do not let the abnormal Arizona allergy season ruin your day! Remember that you can prevent severe symptoms with a visit to your Gilbert physician!